We loved this soup. Well, the rest of the family liked it and ate it, but I loved it. I ate it for lunch for three days, and I was sad when it was gone. But then, I have a pretty emotional relationship with soup. Soak split peas 4 to 6 hours in 4 cups of water. 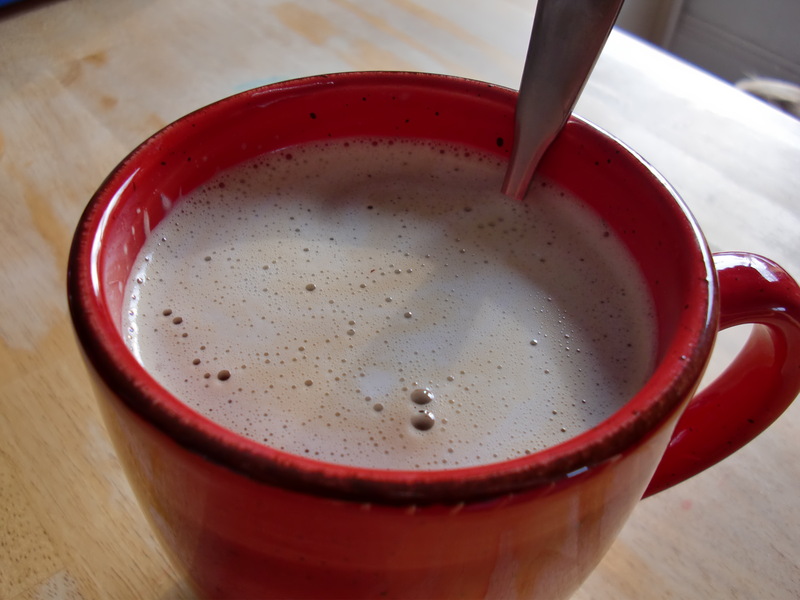 This will help digestibility, quicken cooking time, and improve the texture of the soup. Discard soaking water. Heat butter in a pressure cooker or 4-quart pot. Add onion and salt and saute until onion begins to soften. Add celery, carrot, potatoes, cumin, and pepper to taste; saute 3 to 4 minutes more. Add split peas, water, and bay leaf. Add ham bone, if using, and vinegar. If pressure-cooking: Bring up to pressure on high heat, then lower heat and cook 40 minutes. If using a soup pot: Bring to a boil, lower heat, and simmer 60 to 90 minutes. 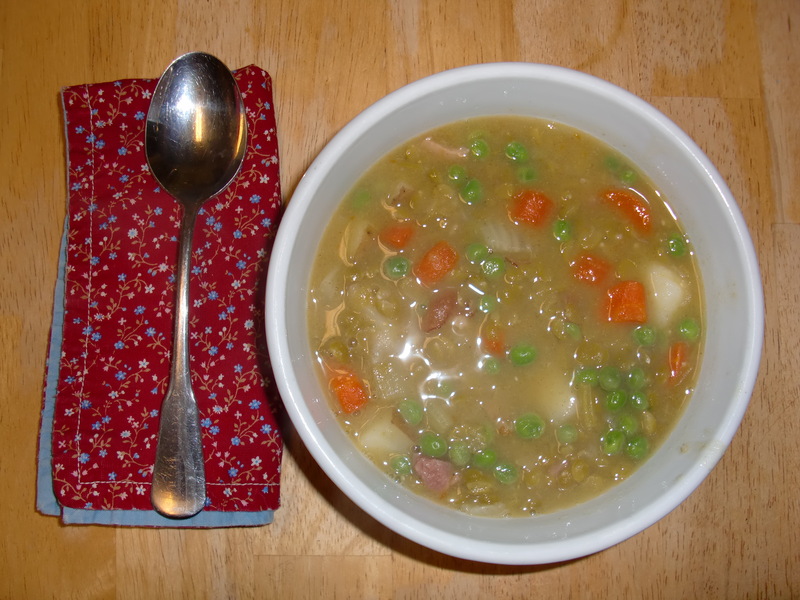 Once split peas have softened and the soup has become creamy, remove the ham bone. Cut off any meat, discard skin and bone, dice meat into small pieces, and add to soup with peas and dill. Check seasonings; add more salt and pepper if needed (ours needed more salt). Continue cooking a few minutes more until peas are tender. The title of the recipe says ‘fresh peas’. Where are the fresh peas? The next-to-last ingredient: “1/2 c fresh or frozen peas”. I usually use frozen because this is a winter soup for us, but fresh peas are one of my favorite things to eat.